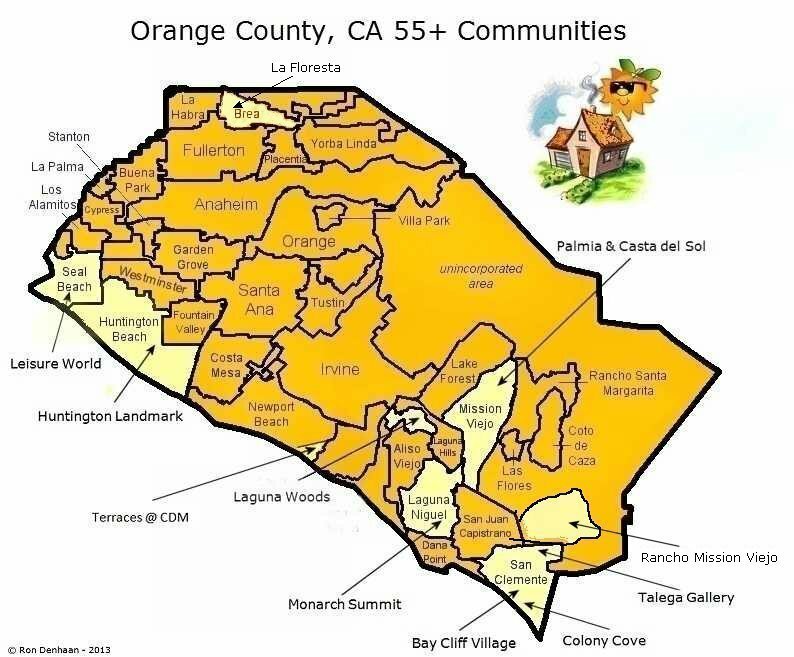 Some of the smaller, south Orange County communities are not shown above, but the communities of Robinson Ranch, Rancho Cielo, Dove Canyon, Wagon Wheel, and Walden are located close to Rancho Santa Margarita and Coto de Caza. The canyon communities of Trabuco Canyon, Modjeska Canyon, and Silverado Canyon are within the large, unincorporated area above Lake Forest. Much of the remaining eastern unincorporated area lies within the Cleveland National Forest. The communities of Portola Hills and Foothill Ranch have been absorbed into Lake Forest and they are located east of Lake Forest (above Lake Forest on the map). <---- Want to shop for homes? See my links to the left. 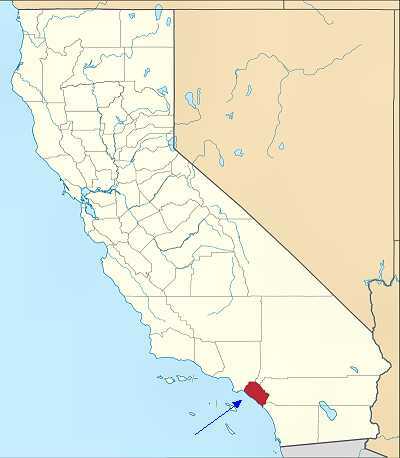 Orange County is a small but densely populated County in the Southern region of California. 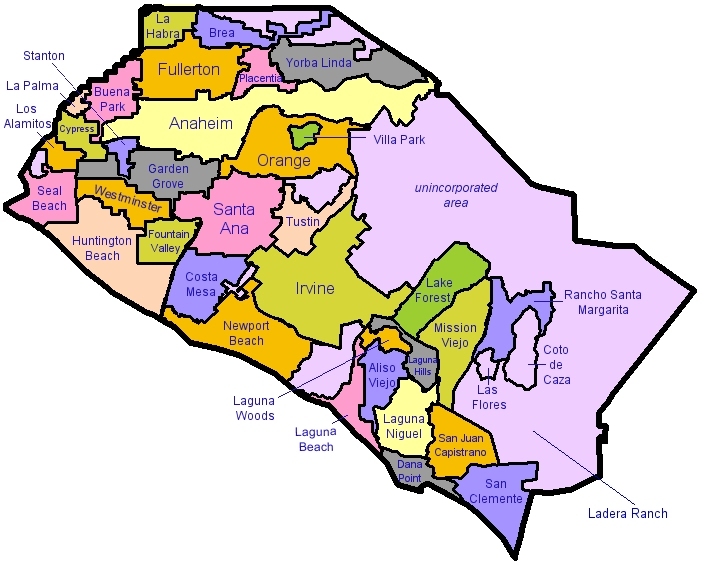 Neighboring Counties include San Diego, Riverside, San Bernardino, and Los Angeles Counties, which I also service. 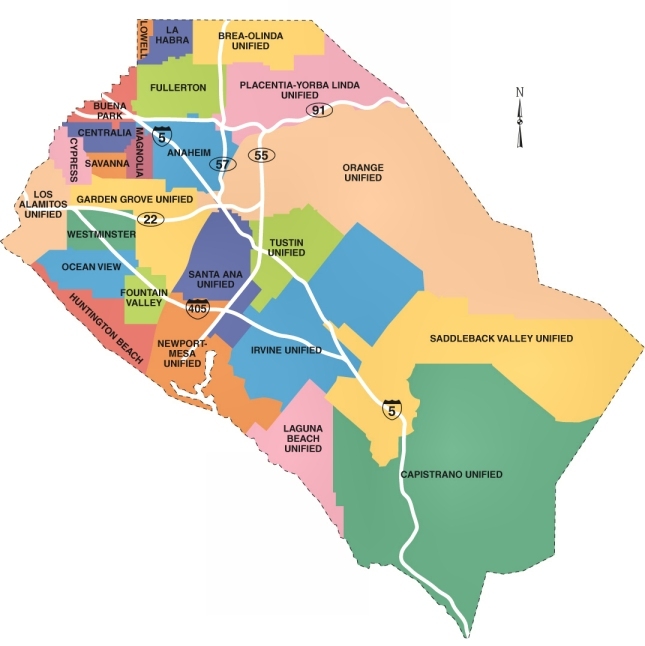 If you would like detailed information on any city or unincorporated area of Orange County, CA, please give me a call! I can help you find a home for sale, lease, horse property, income properties, luxury homes, custom lot, or land in any area of Orange County, CA.